Howard Stephen Berg is recognized as the world’s fastest reader thanks to the cutting edge accelerated learning techniques he developed that turn information overload into information assets. Respected internationally for his contribution to the learning process, he is listed in the 1990 Guinness Book of World Records for reading more than 25,000 words a minute and writing more than 100 words a minute. 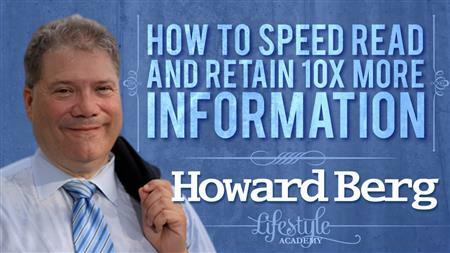 Howard uses his talents to train you on how to stay on top of the information your success depends upon.